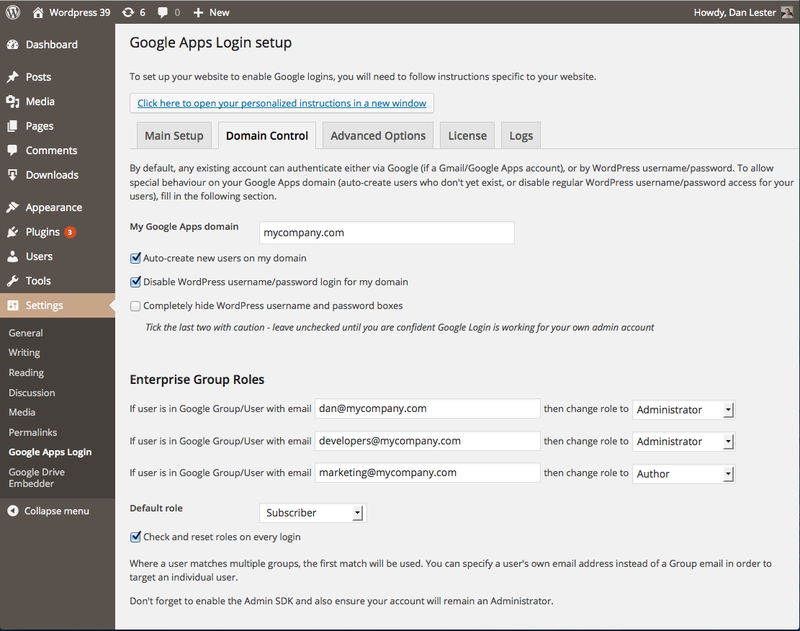 When we learnt more about the leading Google Apps Login for WordPress plugin, we knew their premium and enterprise versions offered the exact tool we needed for our project. The plugin installed perfectly… and worked flawlessly. 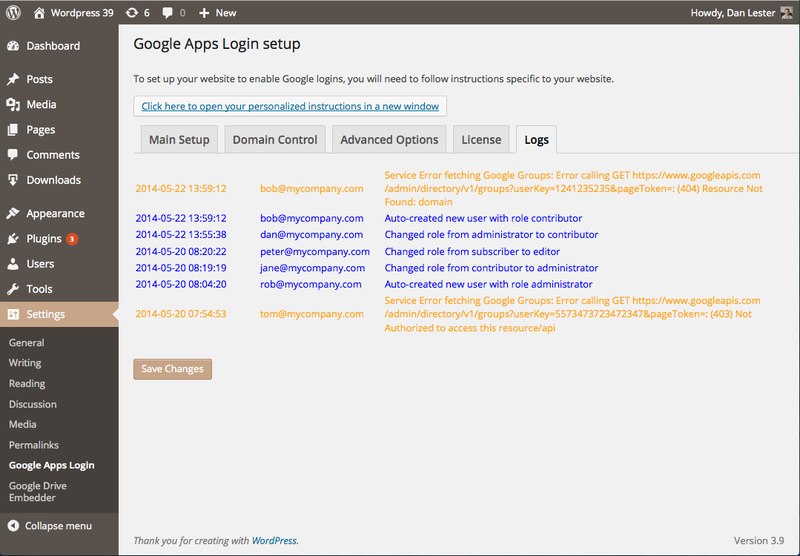 The webmaster didn’t have to create new accounts, assign new passwords, or even really do anything beyond their normal Google Apps administration. 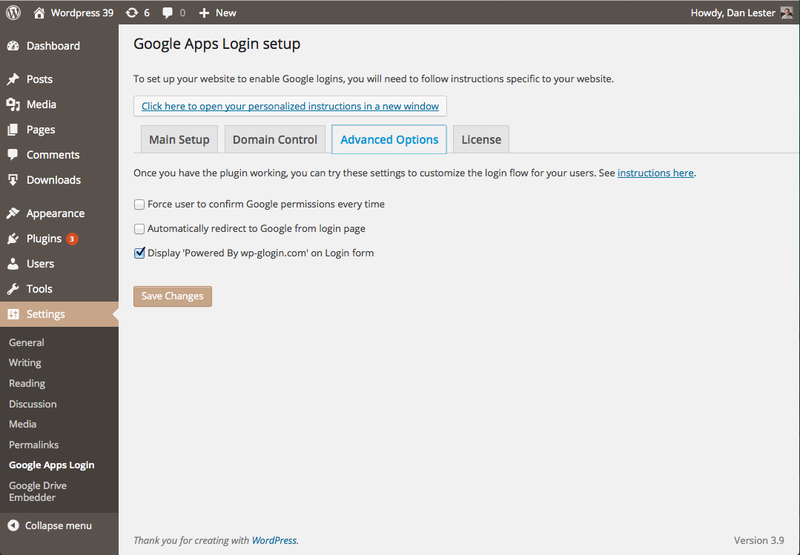 Our widely-praised configuration instructions will guide you through registering your site with Google’s Developer Console and setting up the plugin to manage your WordPress site perfectly. 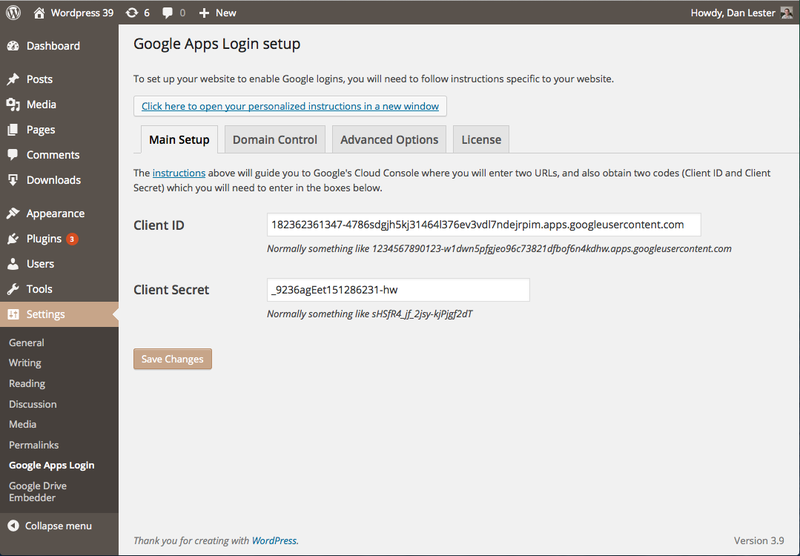 Your own developers will even be able to use our API to add Google functionality elsewhere in your site! Or watch our configuration video. One license allows you to use the software on a single WordPress site indefinitely, and includes email support and automatic updates for one year. Free version also available. The license cost depends on the total number of users in your G Suite (Google Apps) domain.